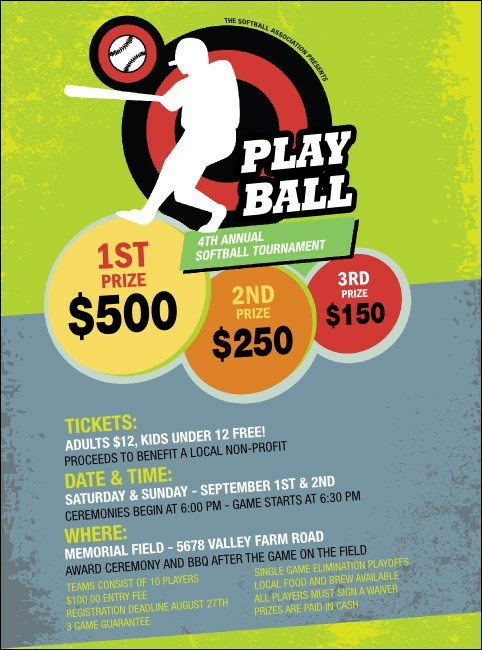 Slide into great pre-event promotions when you print colorful Softball Flyers and post them before your next softball event. These unique Flyer templates feature the white outline of a player on a bull’s eye slamming the ball out of the park, all on a pretty lime green and gray-blue background with distressed edges. You won’t have to sacrifice anything for great event advertising at TicketPrinting.com!